Rotterdam2016.eu >> Caring for Older People: How Can We Do the Right Things Right? The conference was a great success. Read here the participants evaluation. As a district nurse, this was a special week for me. 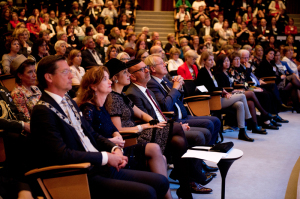 Queen Maxima’s attendance of the ‘European Nursing Congress’ in Rotterdam showed that our work is important and appreciated. Myself and my colleagues are faced with a growing group of elderly people who not only need more care but also increasingly more complex care. It is a good thing to come together and talk about the new demands imposed on our work. The theme of the congress was ‘Caring for older people: How can we do the right things right?’. Together with Margriet Snellen en Rinske de Waard of ActiZ, the Dutch association for residential and home care organizations, I gave a workshop on highly educated elderly care nurses. It was tough to do it in English, but fortunately it was a lively and really interactive meeting and we all realized that populations are ageing everywhere in Europe. So we share the need for highly educated nurses in order to meet the increasing complexity of the demand for elderly care. During the congress there was a growing awareness that real care is about the quality of life of your clients. When I recently visited a client of mine, she told me that she was becoming more and more forgetful and probably suffered from Alzheimer’s. But she also told me that she was not going to let Alzheimer’s prevent her from enjoying her life or ruling it. I understand that as a district nurse I will have to support her and all my other clients in what they are still capable of and in what they really want. When it comes to geriatric care, there is often more to a situation. Check out the Geriatric Care Experience. You have 3 minutes to find out what is really going on. Listen carefully to the story, observe and click around the room and prick up your ears. 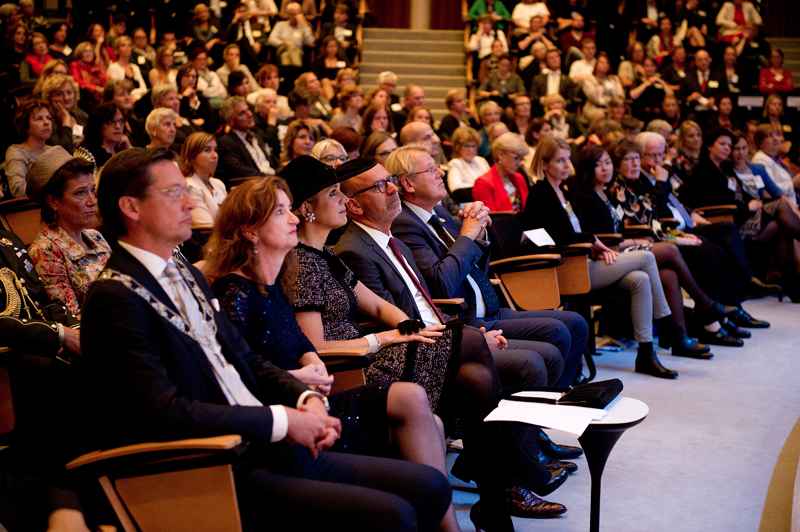 Her Majesty Queen Máxima of the Netherlands at the opening ceremony of the 5th European Nursing Congress met a few of the 700 nurses from around the globe who during four days address the challenges that care for older persons poses to aging societies. Irma Everink of Maastricht University is the recipient of the Early-stage researcher Award for her study abstract: “Effects of an integrated care pathway within geriatric rehabilitation: preliminary results”. This abstract was chosen by the international jury because it exemplifies a well-designed translational study in which research is vented by a multidisciplinary work group and evaluated for both direct patient outcomes and the economic impact of this intervention. Improving transitions of care is a significant issue, especially for older adults. The design of the study incorporates intra-professional collaboration that facilitates a pathway across several care settings. The prospective cohort design is the ideal method to evaluate outcomes for this complex intervention. We look forward to hearing the results of the final evaluation. Subscribe here to our free newsletter.